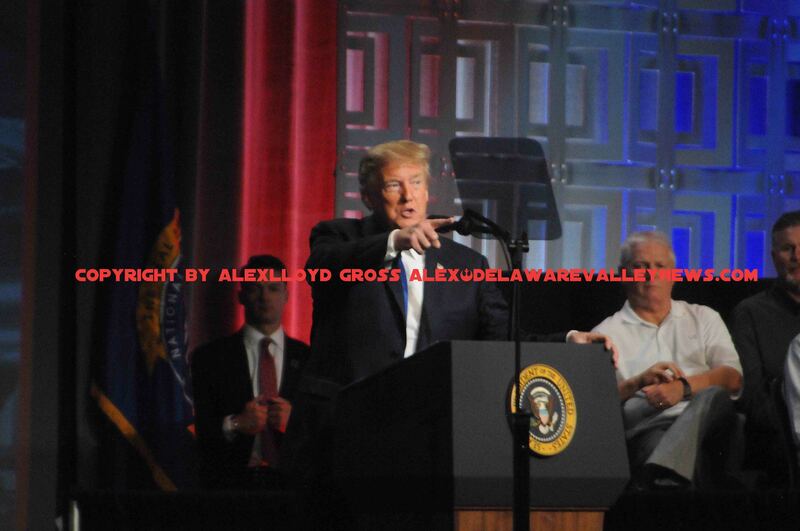 Alex Lloyd Gross- Photo- Delaware Valley News.com President Donald Trump during a recent event in Philadelphia. Jim Acosta and President Donald Trump do not like each other. At all. Acosta has been asking challenging, tough and sometimes questions that have been critical of the Trump administration since he started covering Trump. During a press conference after the mid-term elections, Trump and Acosta got into a heated argument. Trump had enough and suspended the press pass that allowed Acosta into the White House to do his job.A Federal Judge is expected to issue a ruling on returning the press as early as today,at least until a full hearing has been held. CNN, ( Acosta’s employer) filed a suit against the President. This is unprecedented. After analyzing this, Trump was wrong for terminating Acosta’s access. However, Acosta was equally wrong for trying to monopolize the press conference. This is not a company meeting where you can pepper your boss with endless questions. This is a press conference where you are afforded the opportunity to ask a question. There are other people waiting, who would like to speak with the president. They do not want Jim Acosta to ask their question for them. Had Acosta wanted to ask so many questions, he should have requested an interview. Did he assault the young female intern? If you define assault as the non consensual touching of another person, then assault was committed by both parties. If you define it as an attempt to injure or impede physically another person, the no assault took place. 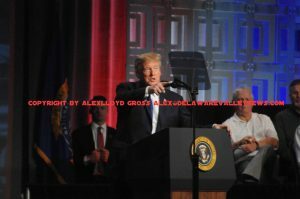 Trump needs to get a handle on the press corps, lay down the law. You ask one question and have a follow up. You must immediately return the microphone and give someone else a chance. The White House should return Acosta’s pass, and any reporter that breaks the rules simply will not be called upon. The practice of shouting questions shows a lack of decorum . If the White House does not wish to implement these rules, they should give Acosta his pass back and simply not call on him. During the response to the lawsuit , Trump’s lawyers said he can ban all media and challenged the ri9ght to a free press. Those lawyers are giving poor advise. Fake News is when a story is done that Trump took a trip on a UFO or dealt drugs from the Oval Office. It’s not true and no one would believe it. Fake News is not writing critical stories about how Trump’s policies will not work. Trump also needs to stop targeting reporters and the media in general. The media are good a policing our own. Just look at how quick we gave the boot and ostracized Helen Thomas, who for decades endeared herself to presidents and the Washington Press Corps. She made Anti-Semitic remarks and was quickly dis invited to White House events and fired. Her legacy is trash. Looks like we were correct and spot on. We said this should happen and what we wote is exactly what did happen.